Take a trip down Wake Green Road and you could be forgiven for thinking you’d stepped back in time. Sitting back off the road, behind their front gardens, you’ll find a row of seventeen 1940s’ Phoenix design prefabs. The Grade II listed Phoenix prefab bungalows in Wake Green Road were designed and manufactured by John Laing, McAlpine and Henry Boot, as part of a consignment of 2,428 prefabs supplied to the Ministry of Works under the Temporary Housing Programme. These temporary homes were only expected to be in use for ten years but 70 years on they are still in use. There are no other known surviving Phoenix prefabs still lived in which makes these extra special. 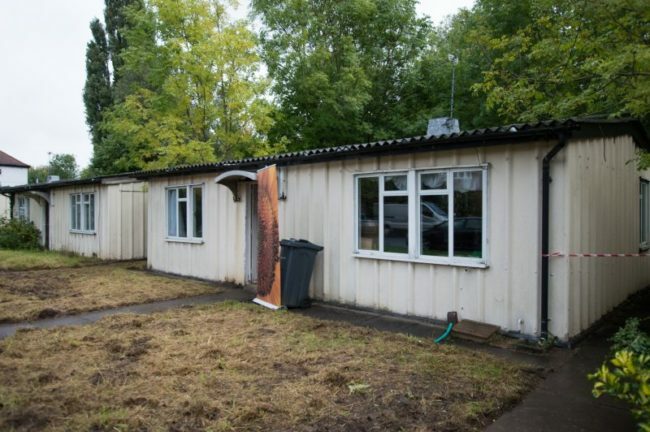 All but one of the prefabs are owned by Birmingham City Council. Back in 2014, Birmingham Conservation Trust became involved and commissioned an Options Appraisal on behalf of the City Council to look at the potential for the Trust to take on one or more Prefabs to run as a museum and holiday lets. This was followed up in 2016 by Lou Robson’s “Conservation plan: Wake Green Road Prefabs” which explored the context for the Prefabs and highlighted not just their rarity and their importance as a group, but also the rarity of their listing and the significance of their interior fittings. In order to raise public awareness of the buildings, open days were held in September 2016 and we were delighted to see such a high level of support for the buildings. It was instantly clear that many people still hold a place in their hearts for these 1940s’ homes. In early 2017 the “Prefabulous” partnership was formed when BCT, the 20th Century Society and the Prefab Museum decided to join forces to work towards saving the Wake Green Prefabs. Funding was secured from Historic England was secured in May 2017 to allowed the group to undertake a scoping scheme. In spring 2018, the scheme was completed and negotiations are currently underway with Birmingham City Council to secure a future for these time-warp homes.